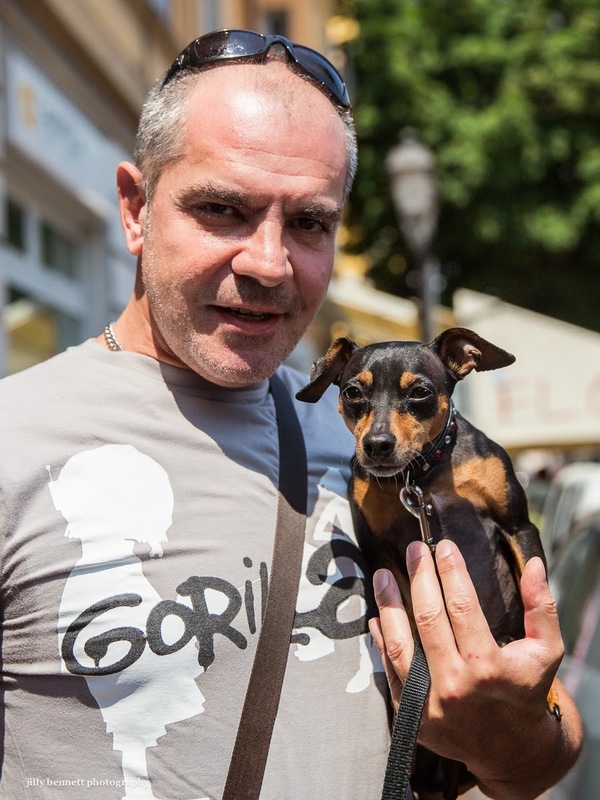 Don't you love the gorilla t-shirt on this macho guy and then how delicately he holds his little dog in one hand? We met in Ventimiglia. I reckon the dog is the tough one tho! He has a nice little perch in the safety of his owners arms.